Hello there and thank you for stopping by! 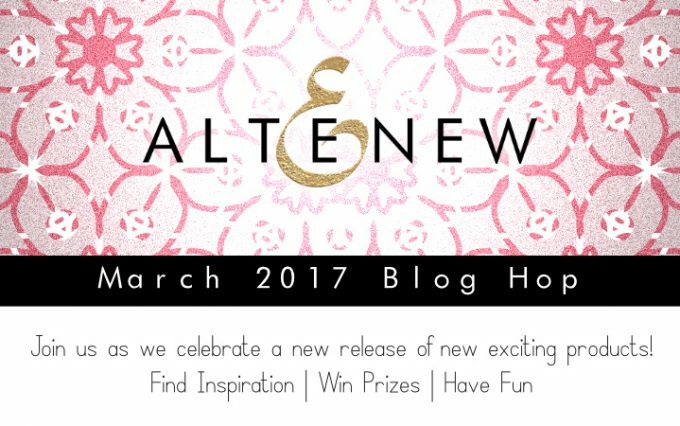 Today I’m joining Altenew blog hop to celebrate their March 2017 Release. 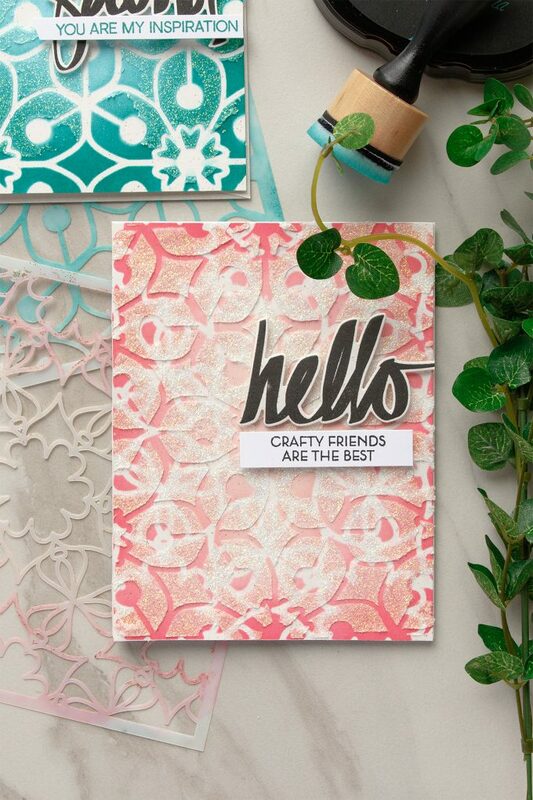 This release doesn’t include stamps, but there are fun mixed media things like stencils and spray inks to play with. I was very excited to try new layering stencils. There are a lot of things one can do using a stencil, lots of techniques and having a layering set of stencils certainly adds a lot to all the fun! I made several cards to test out various mediums, approaches and simply to play! 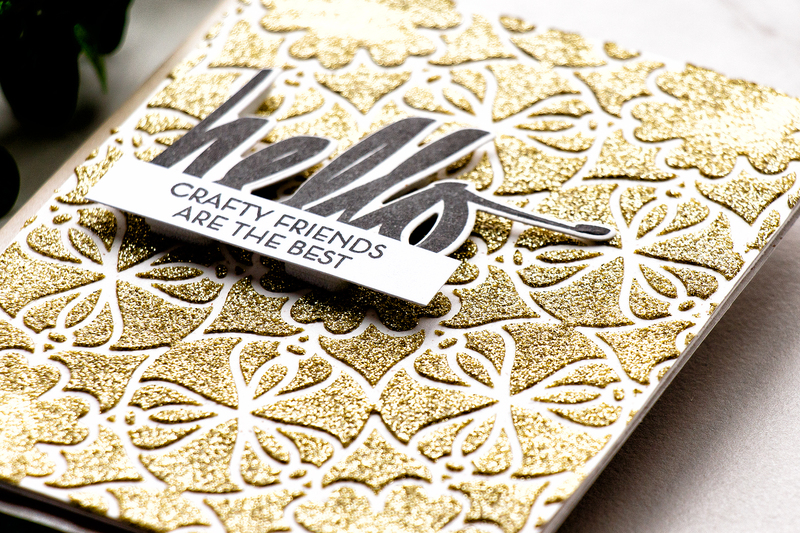 My first project, Gold Hello features Layered Medallion A Stencil and Tonic Golden Crystal Nuvo Glimmer Paste. I used Altenew’s Spicy Yogurt cardstock (I decided not to use any white today, only sentiment strips were stamped on white) and added a generous amount of paste. I love the glittery shimmery look I was able to get. 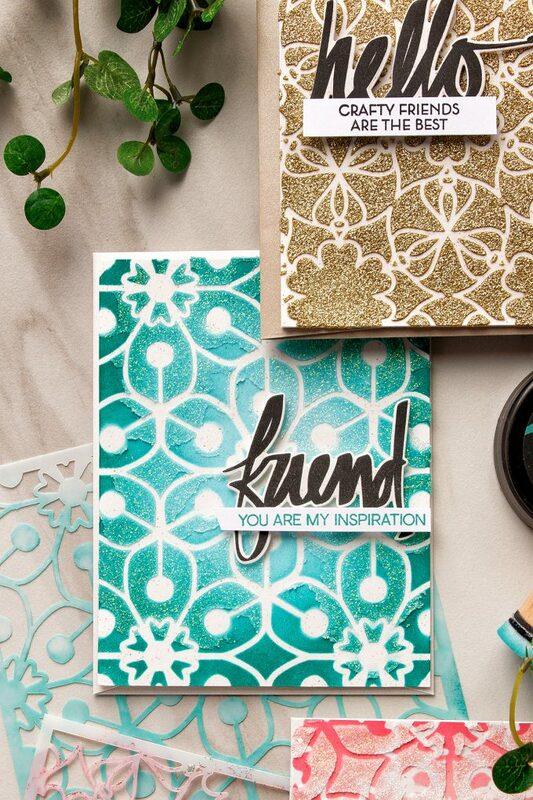 My second project, Teal Friend features Layered Medallion B Stencil and Tonic Moonstone Nuvo Glimmer Paste. To create the background I first did some ink blending using a stencil and Altenew inks. I blended Ocean Waves and darkened the edges of my panel using Emerald. Next I added a generous amount of white translucent glimmer paste, but I only added it to some sections, I did not cover the entire background. This created a lot of interest and added tons of detail to my card. 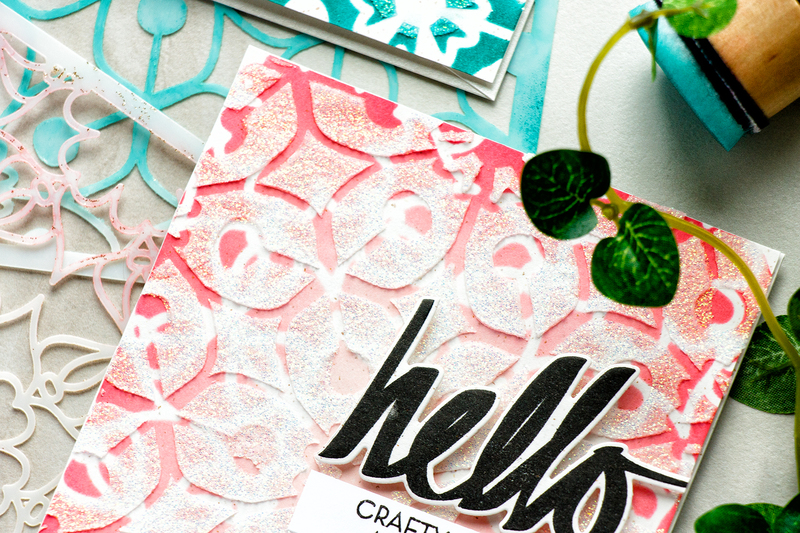 My third project, Pink Hello was created using both A and B stencils and Tonic Moonstone Nuvo Glimmer Paste. This time I used A stencil and blended ink onto my background. I used Frosty Pink, Cotton Candy and Coral Berry. Next I switched to a B stencil and applies a generous solid layer of Moonstone paste. Because this paste is somewhat translucent you can see the ink blended background underneath it. Love this look! To create sentiments I used Super Script and Halftone Circles. To celebrate this release, Altenew is giving away a $50 gift certificate to THREE lucky winners! Please leave a comment on the Altenew blog by Thursday, March 16th at 11:59 pm EST for a chance to win. The winners will be announced on the Altenew blog on Friday, March 17th. I also have one $30 gift card to give away to a lucky blog reader! Comment below for your chance to win. Comment by by Wednesday, March 15th at 11:59 pm EST for a chance to win. I will pick a random winner, post winner’s name in this post and will email the winner. The next stop on this hop is Virginia Lu. If you get lost or encounter a broken link, please start over at Altenew blog. Gorgeous cards! Great way to highlight the stencils! 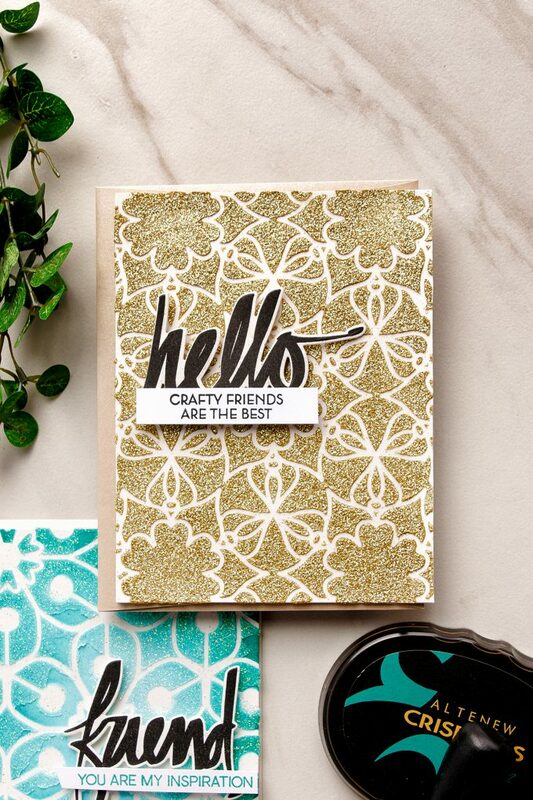 I love how you layered the stencils and added paste for dimension. Your cards are beautiful! All of these are so beautiful Yana, the glimmer paste you used looks amazing with the stencils especially the last 2 that you blended colour on first! I also think the gold one is gorgeous, the paste really adds a lot of texture. Gorgeous cards and I love the backgrounds! 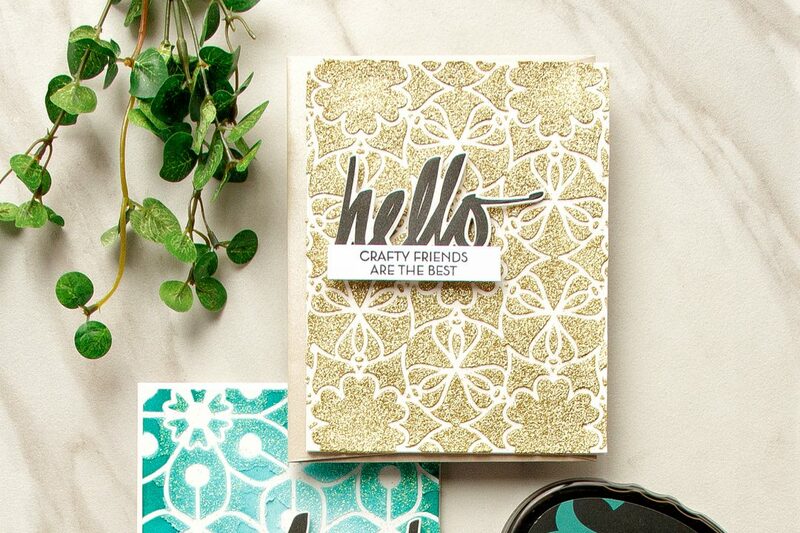 These stencils are so unique and pretty. Love the glimmer from the nuvo paste too! Those stencils from Altenew are great! I love them used with that Nuvo translucent glimmer paste! Yana, you are so creative! Great job on these mixed media cards. Thanks for sharing and for being part of two giveaways! Ooh, I love how that pink card turned out!! Thanks for the inspiration, I wouldn’t have thought to layer the glimmer paste on top of an inked/sprayed background! Thanks for the giveaway!! I do love your cards. I love all of your cards all the time. lol. These are super cool because of how you used the stencils. So glad to be one of your followers and that you share your talent! 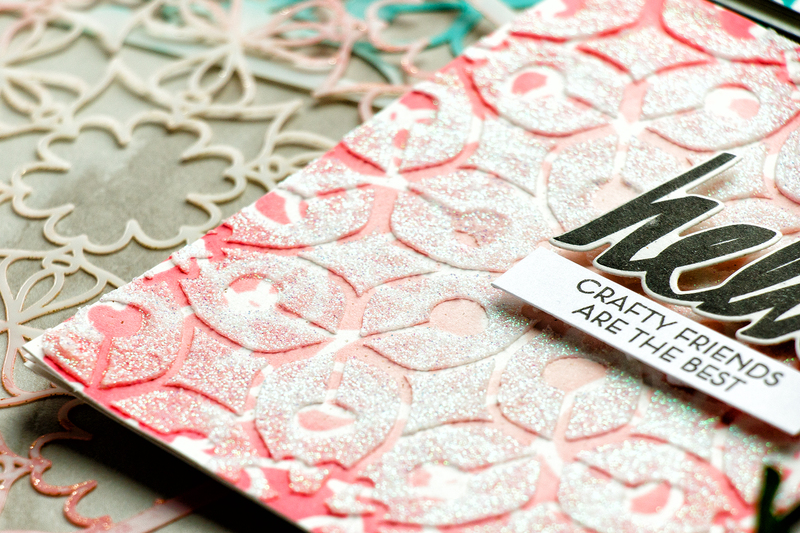 Love the different sprays and stencils you used! They are so pretty! Gorgeous techniques! 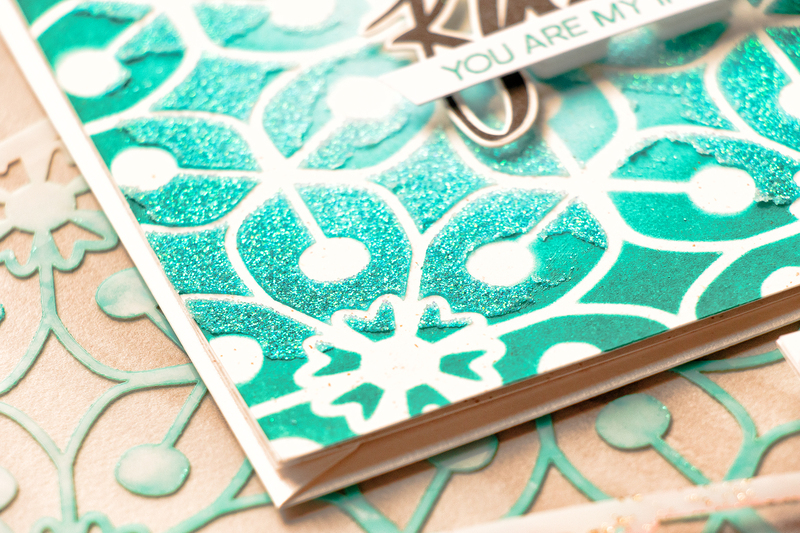 Wow, love the look on both cards with the glimmer paste. Thank you for sharing! Gorgeous cards! I love your designs – thank you for sharing! Love the glimmer paste, These stencils and sprays are amazing. Thanks for sharing such lovely cards. Just beautiful. Love the gold and the teal colors. 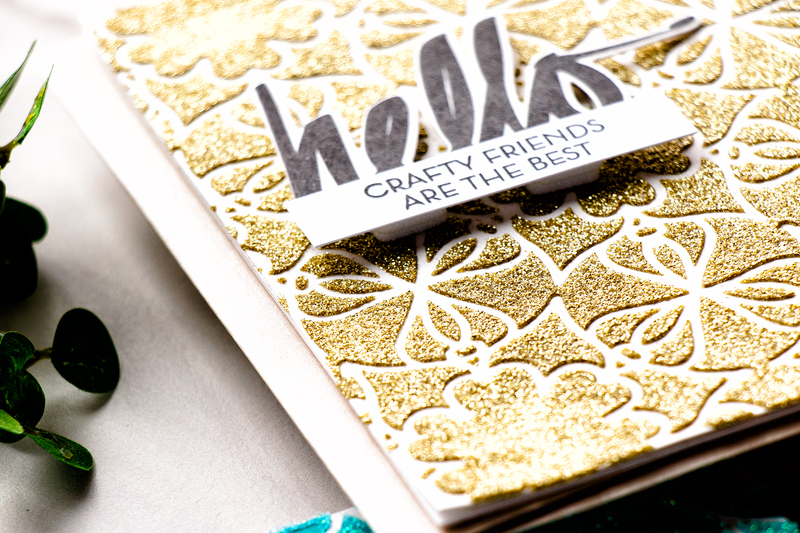 Your cards are so beautiful Yana, I adore all that wonderful gold, it really makes me happy! Nice use of the stencils. Those are very bold stencils. Your take is very interesting. My favorite are the dot stencils. 2 wonderful companies combining the Nuvo glimmer paste and the Altenew stencils. Fabulous end results. 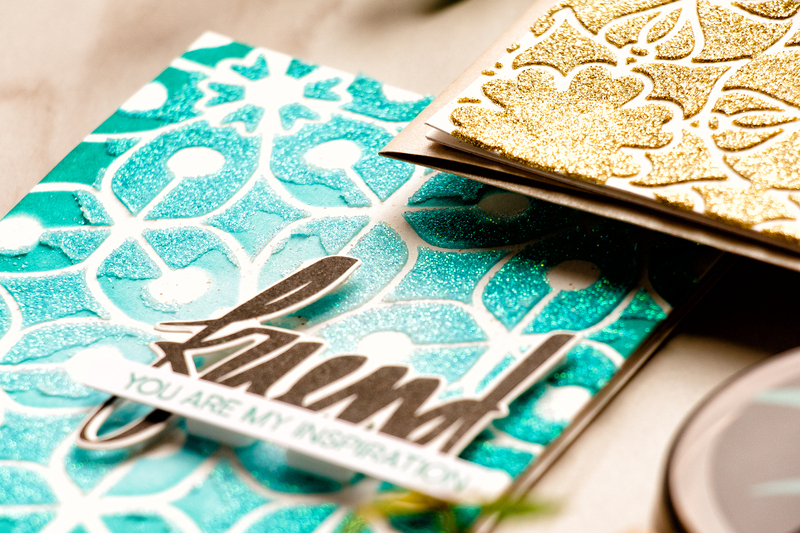 Yana, Your cards are absolutely beautiful! I LOVE the textures you added,pure yummy-ness!! I adore fabulous background techniques!!! These are just AWESOME!! Great technique! The glimmer paste is so pretty! Love using pastes and textures with stencils! Great backgrounds. I like the texture and the lovely colors. 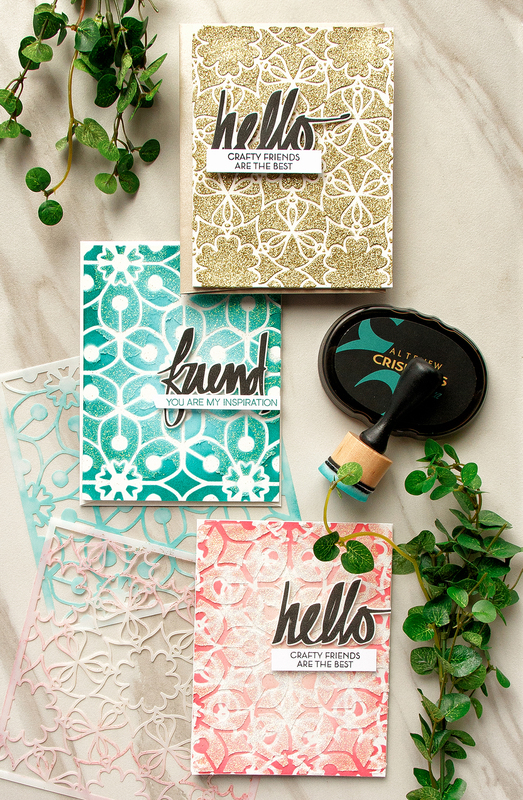 I have stencils but have never used them! Now is the time to try them out. Thank you! Who was your selected blog hop winner. I can’t find where it is posted. wow i never try this must try thank the colors are amazing.